Have you ever looked at a series and thought, Such large eyes, then put it down again? That's me in a nutshell... five years ago. 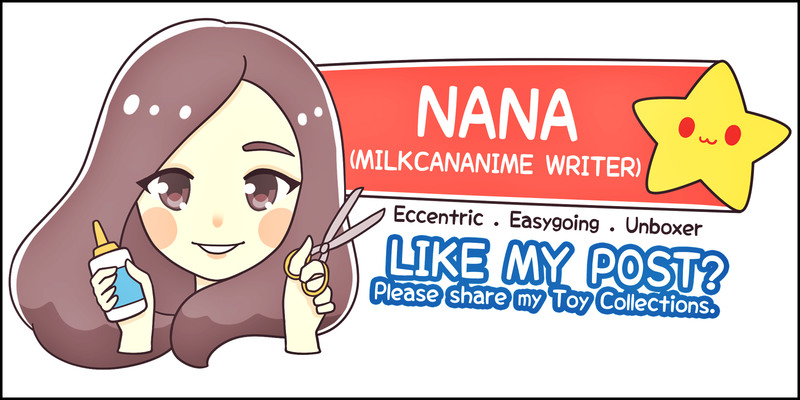 Five years ago I wouldn't be caught dead with anything resembling shoujo, even though growing up that was the only kind of manga my aunt shared with me (Fruits Basket, Tokyo Mew Mew, anyone?). Maybe it was overexposure to shoujo manga that made me reject it in my rebellious teen years. Okay, enough rambling! Today, I'm sharing with you a series of which I thought, Such large eyes, and not put it down. Gakuen Babysitters. Large teary eyes. Flushed cheeks. And more teeny tiny people than anything. Welcome to Toddlerland. I've always gotten on well enough with children, even though I've never been particularly inclined to play with them. This time goddamit, all I want to do is reach into the screen and pull a horde of toddlers out. 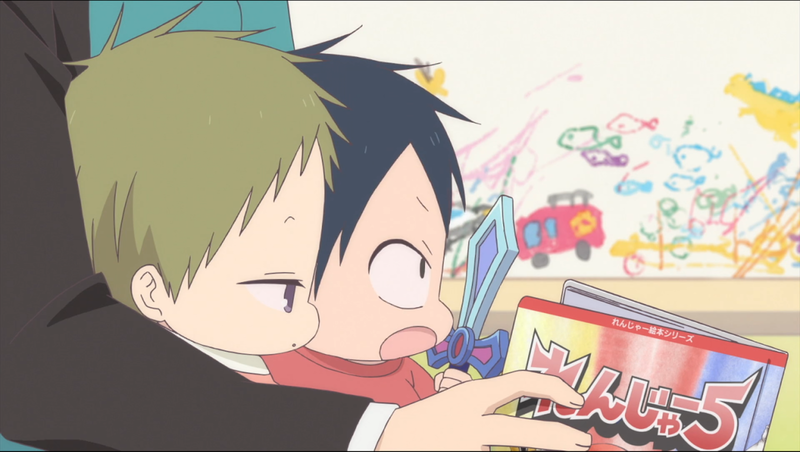 The manga is authored by Tokeino Hari since 2009 and recently, the anime adaption has started airing. I'm surprised it has taken nearly nine years for an anime adaption, but I'm glad it has! We never know what we're missing til it appears in front of us, don't we? 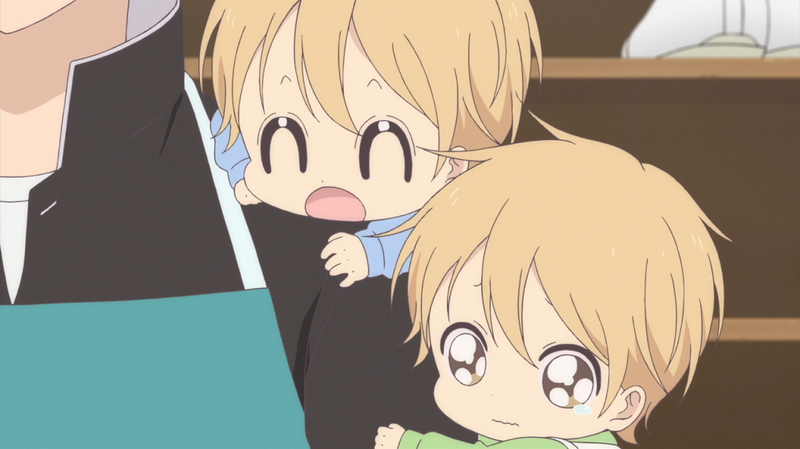 Gakuen Babysitters is a heartwarming blend of slice-of-life, comedy, and super duper ultra cute. 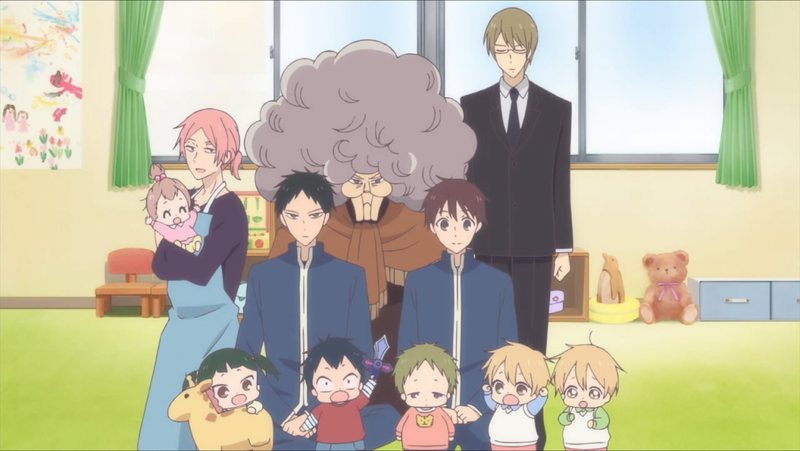 The story revolves around a daycare for toddlers in Morinomiya Academy, most of them the children of teachers. 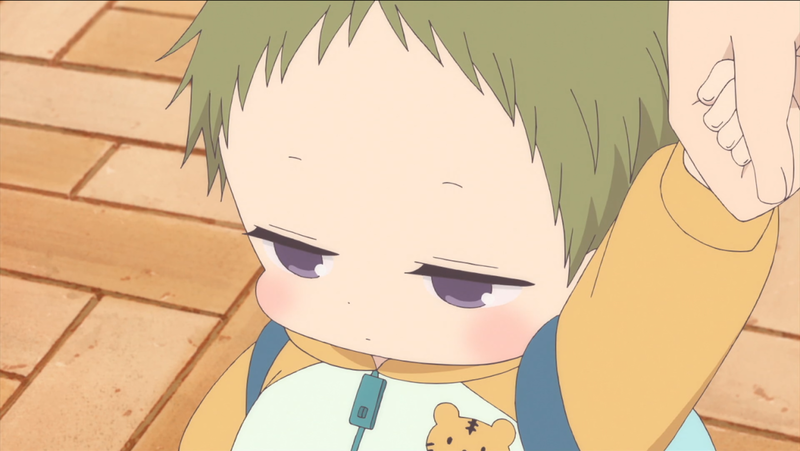 The main characters (debatable, because the other toddlers are truly show-stealing in terms of cuteness) are Ryuuichi and Kotarou, his younger brother. Due to losing their parents in a tragic accident, they are taken in by the chairwoman of Morinomiya Academy. In exchange for food, lodging, and education, Ryuuichi begins to help out at the daycare, which was thus far managed singularly by Usaida Yoshihito. The daycare also comprises of Taka (whose elder brother Hayato eventually starts to help out as well), twins Kazuma and Tazuma, Kirin, and infant Midori. 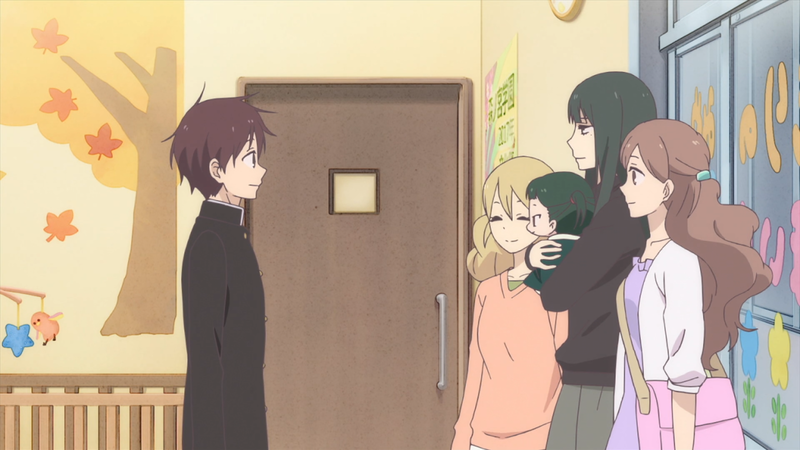 There are also several other characters including the parents who eventually appear in the manga who I'm looking forward to see in the anime! 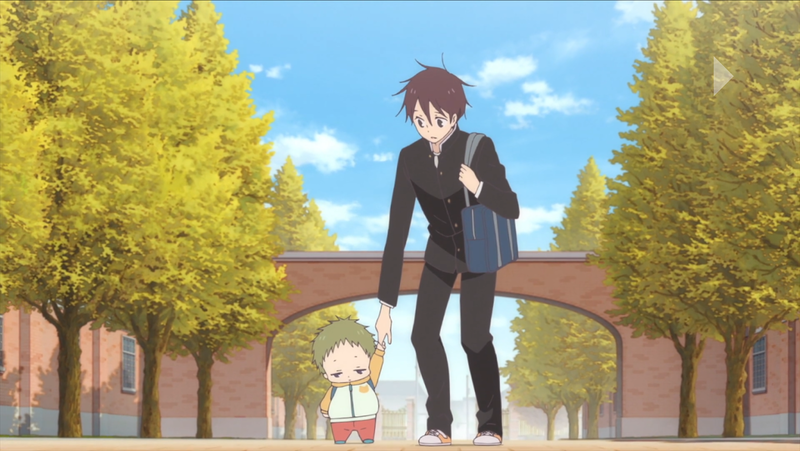 Truth be told, I just really enjoy how fluffy and heartwarming Gakuen Babysitters is. If you're a fan of all things adorable, you will definitely love this. 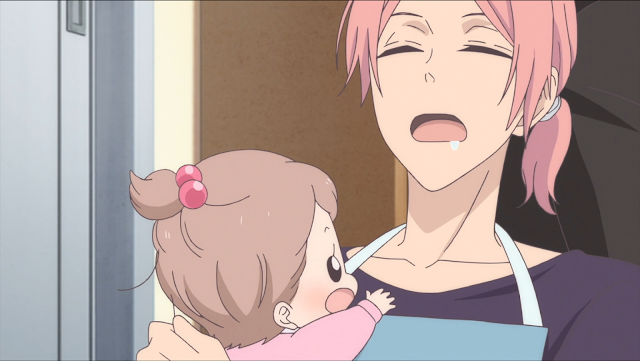 No Comment to " Gakuen Babysitters "